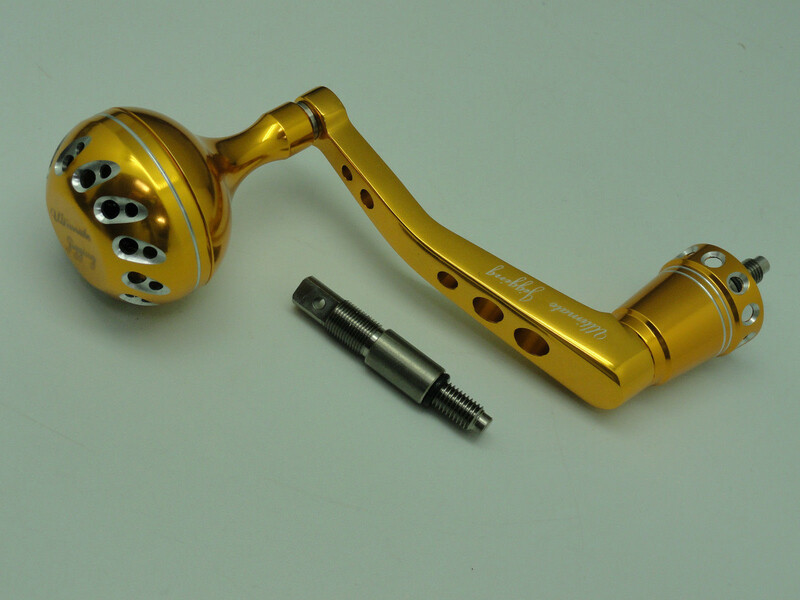 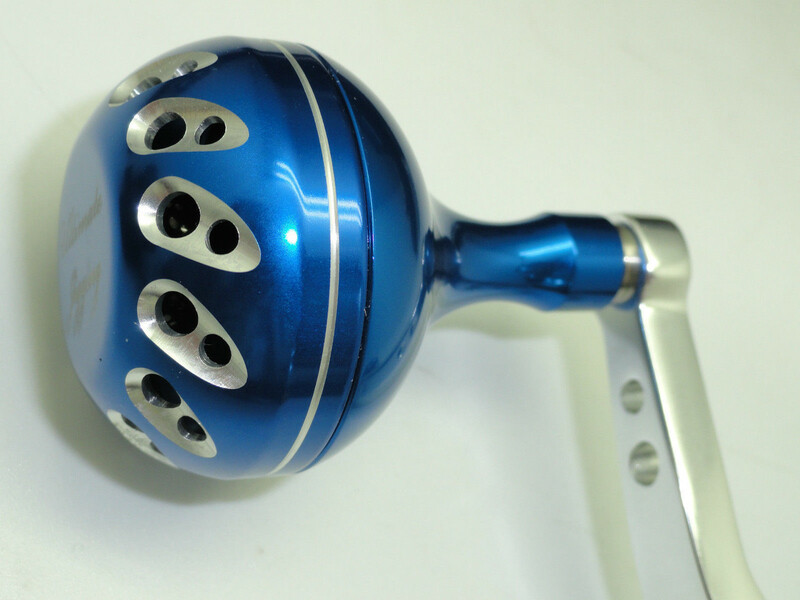 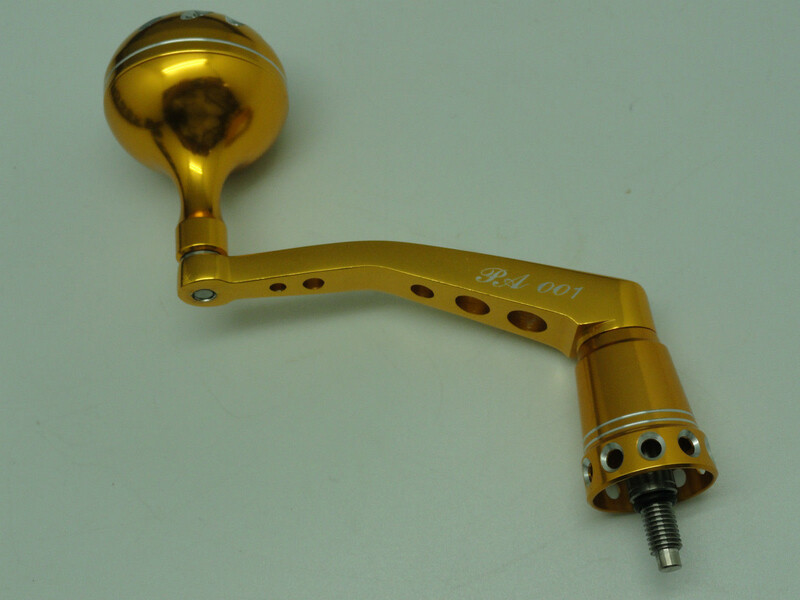 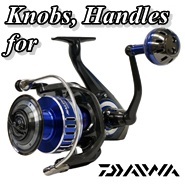 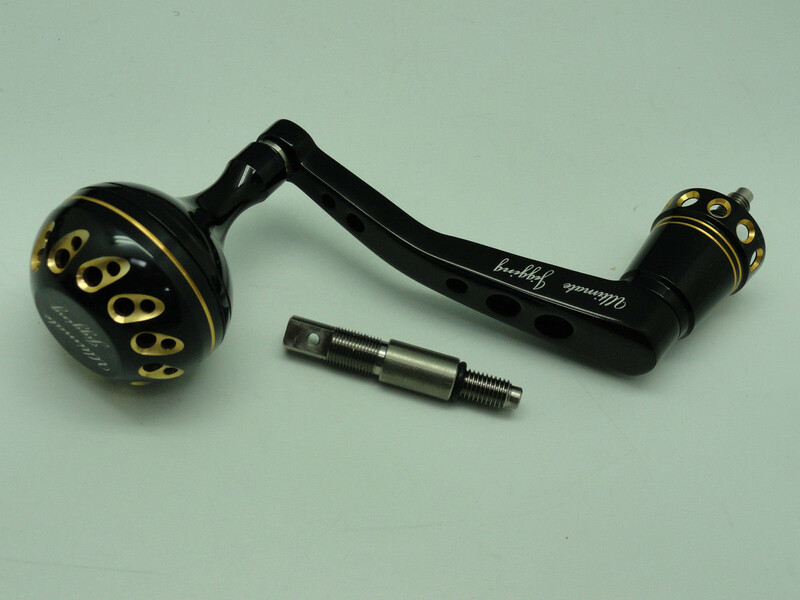 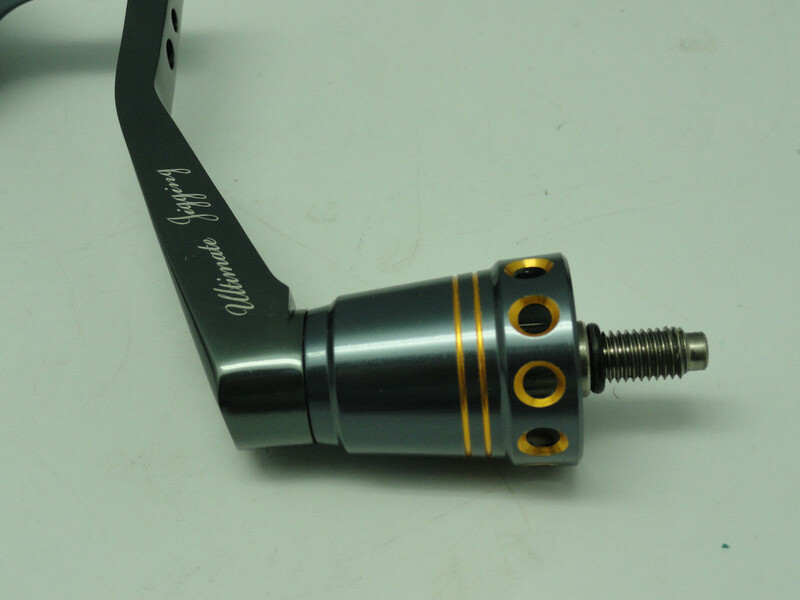 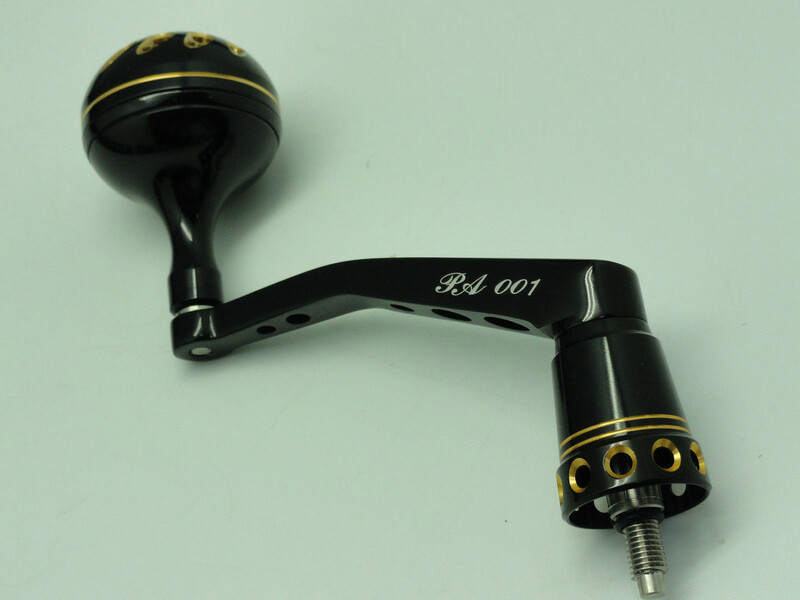 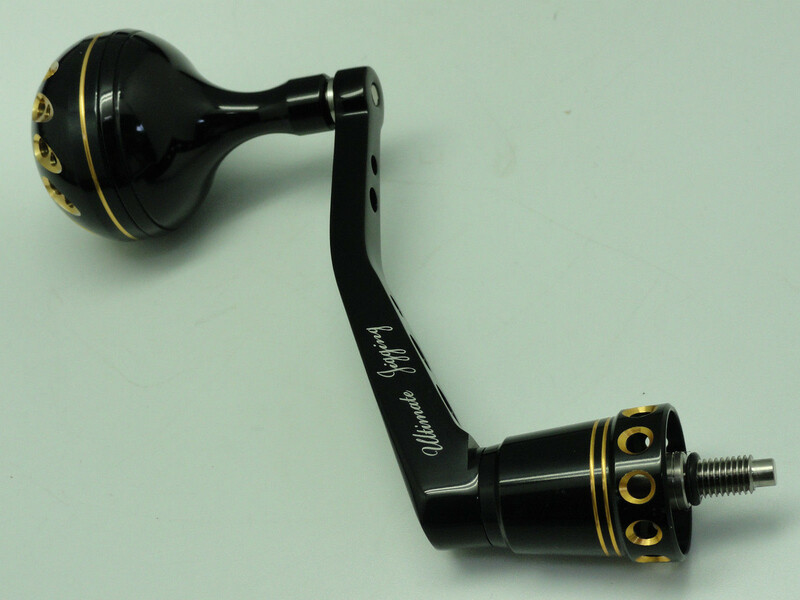 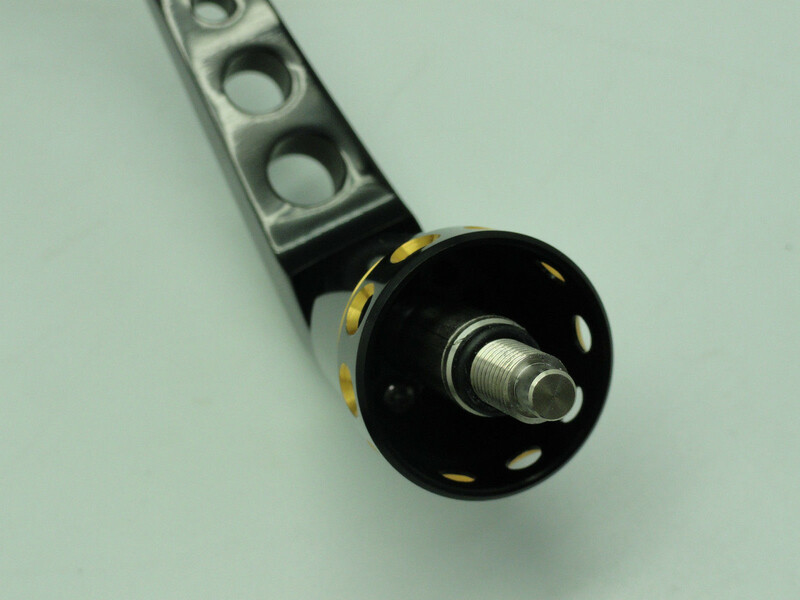 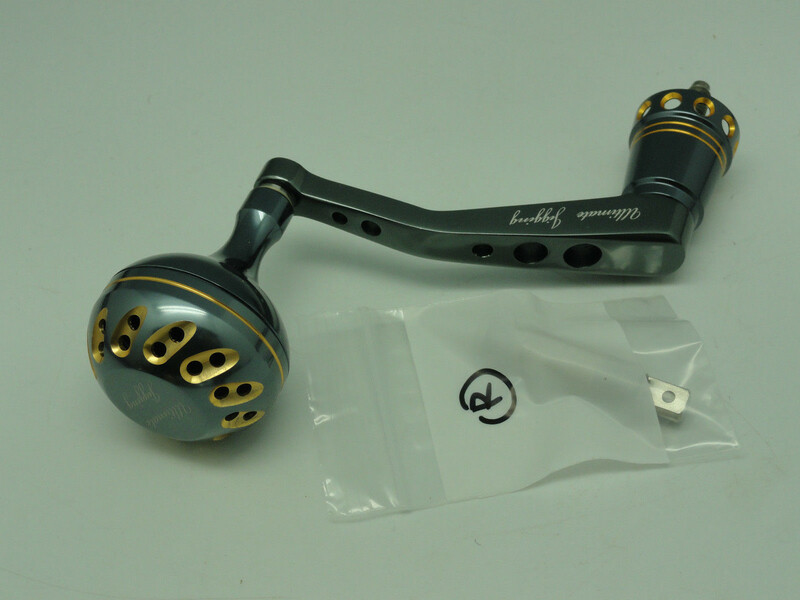 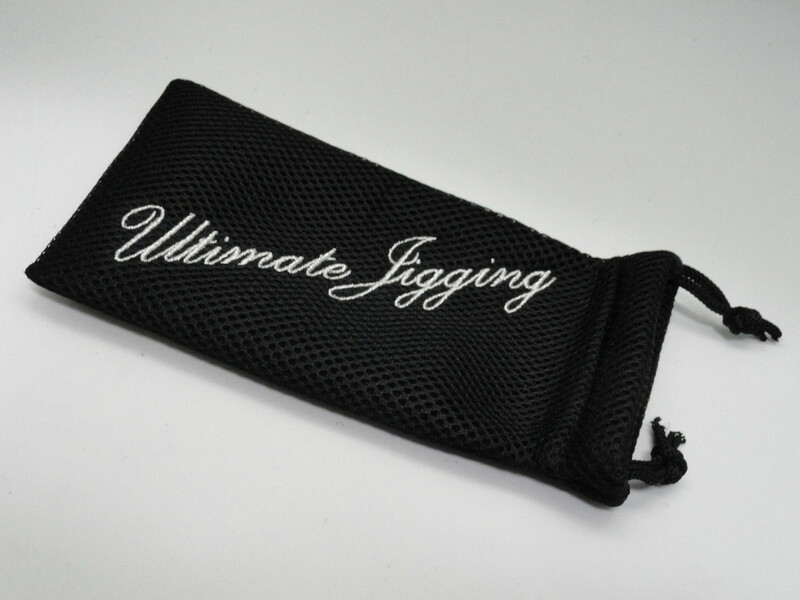 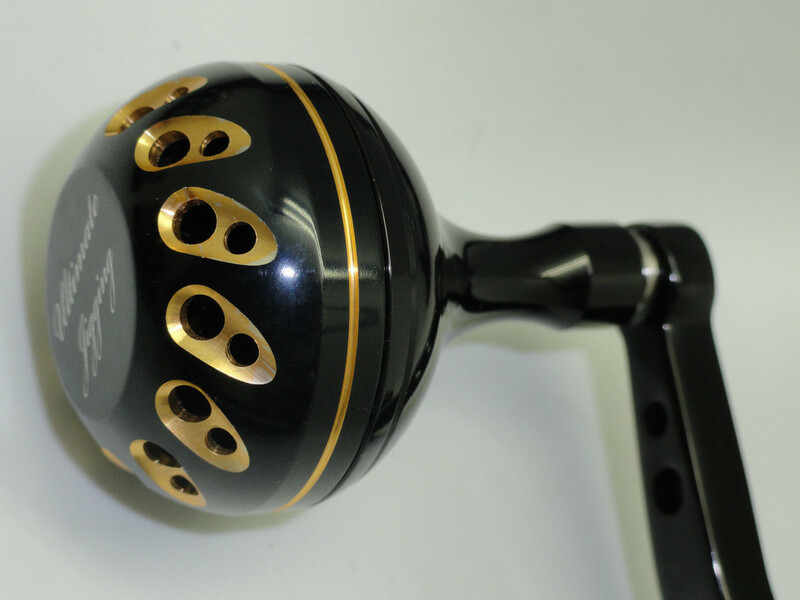 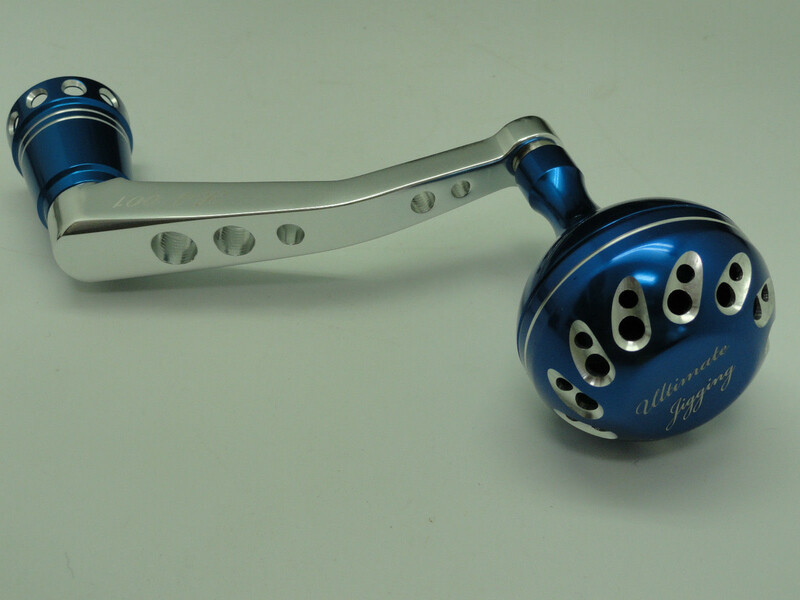 Ultimate Jigging Custom Power Arm Model PA001-S with PRK 45mm Knob is new developed from Ultimate Jigging solely to upgrade Shimano Reel's Arm and Knob. 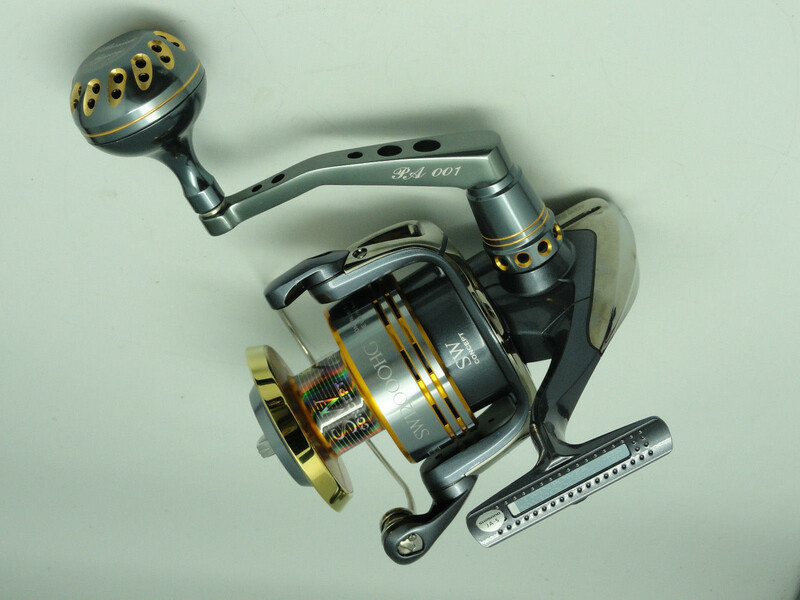 The longer arm length machined from 6061 aluminum stock allows you to operate reel more easily and less effort to battle with big one. 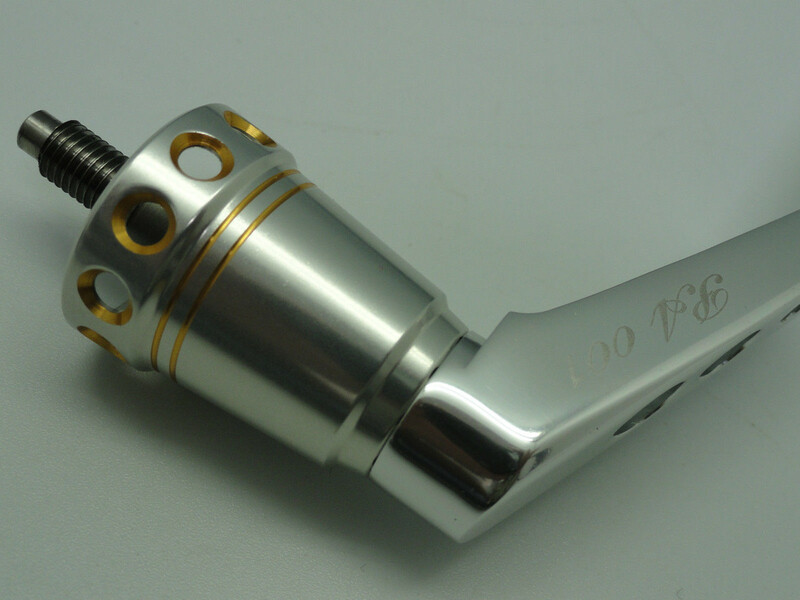 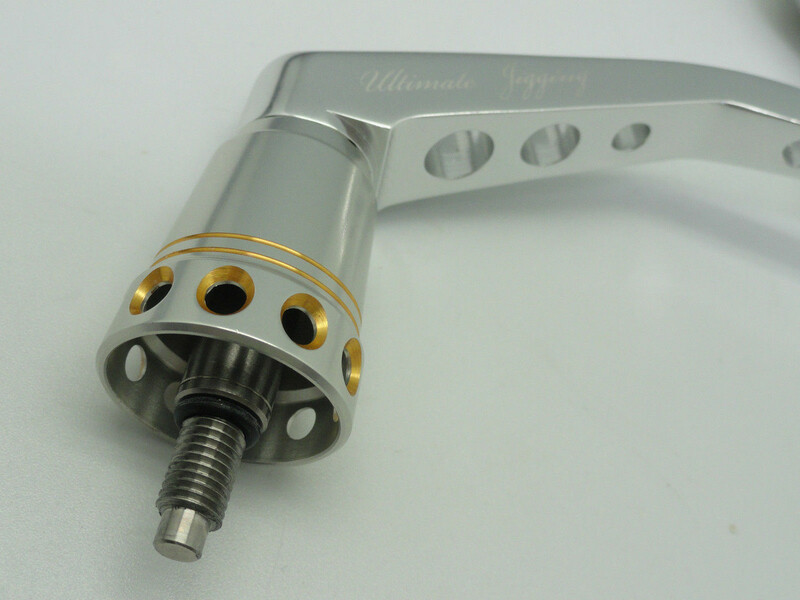 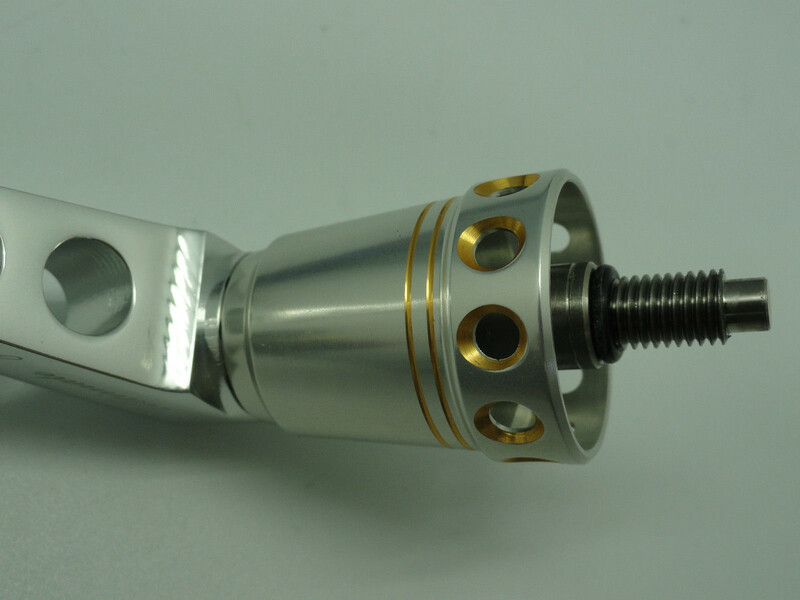 The main drive shaft machined from solid Titanium stock, stronger and lighter than Shimano stock stainless shaft (13 g vs 17 g). 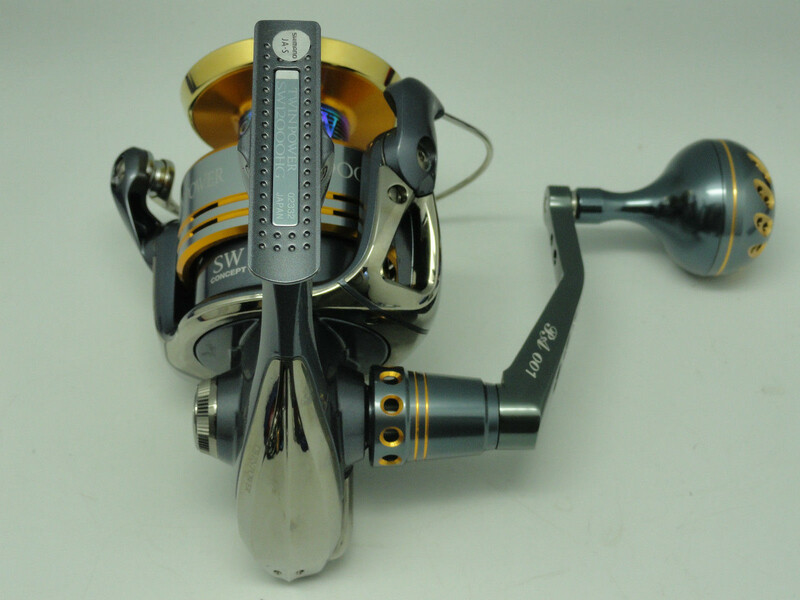 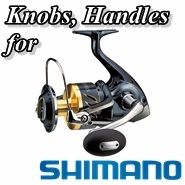 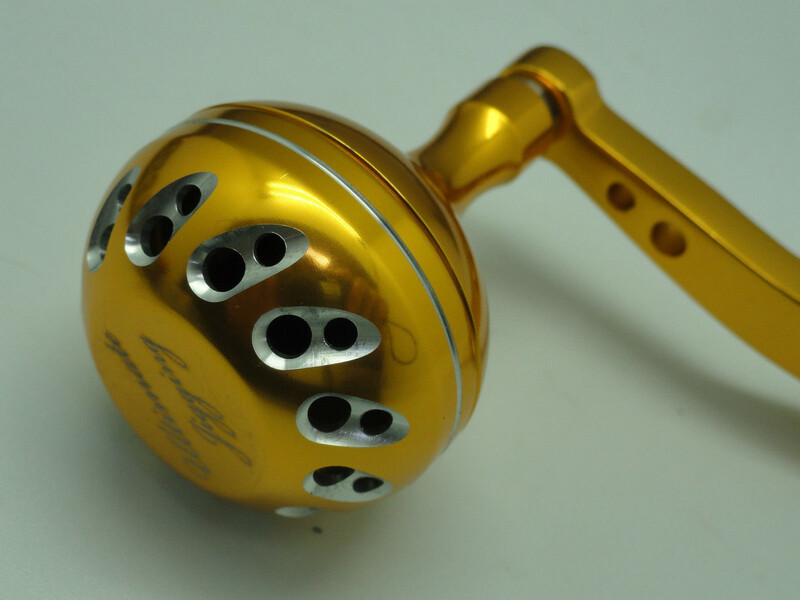 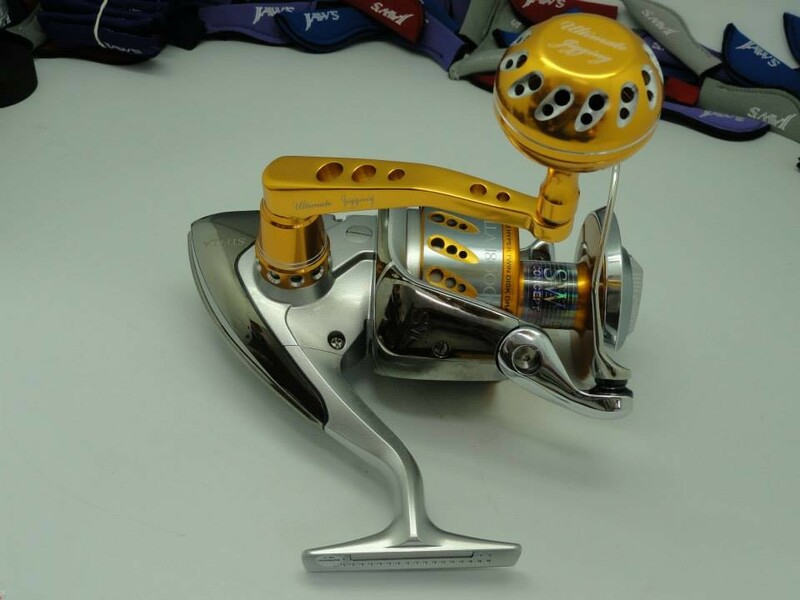 Shimano Stella 10000 ~ 30000 SW, Or any Shimano reel with 7mm drive shaft O.D. 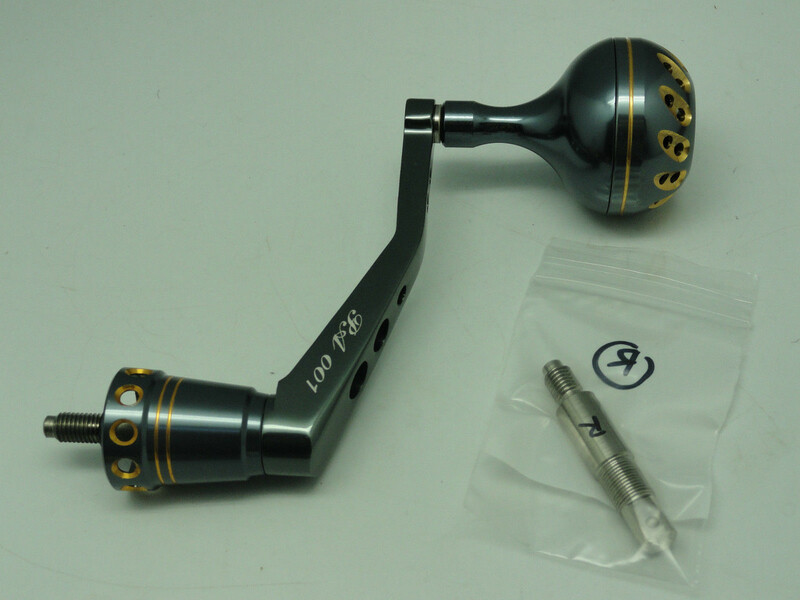 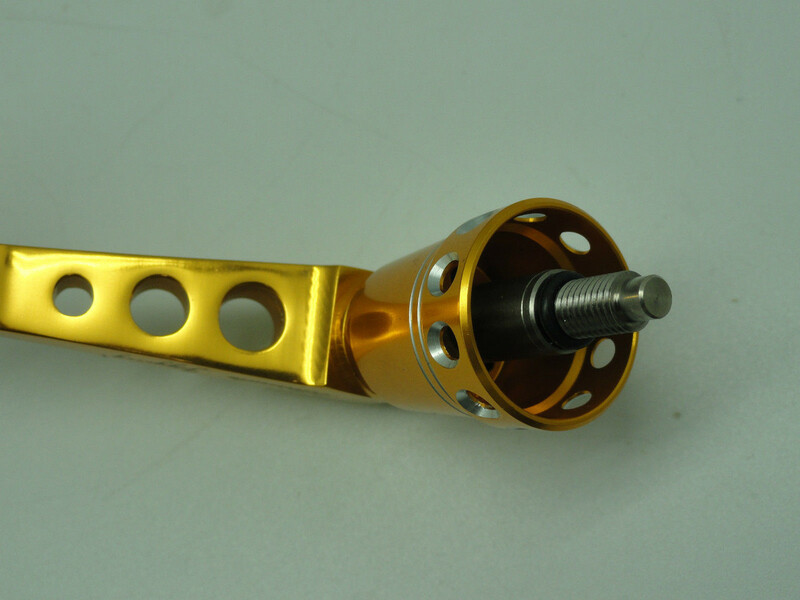 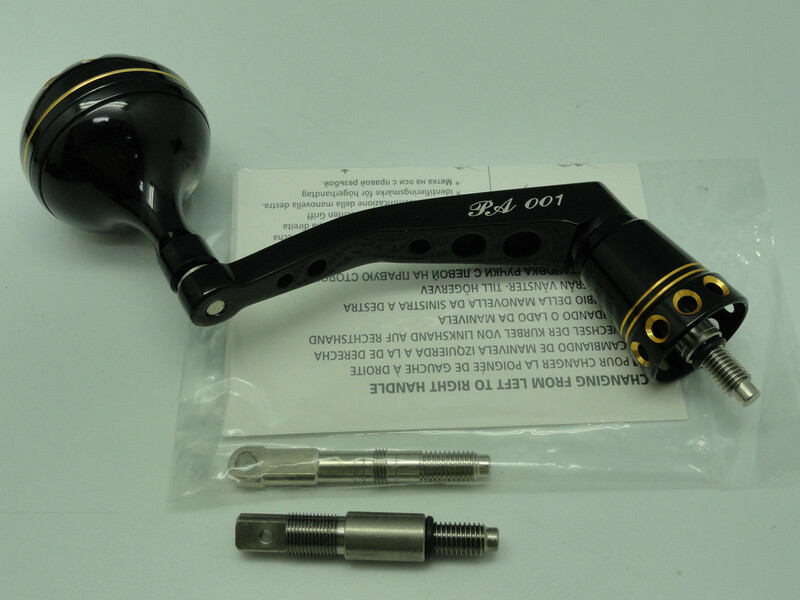 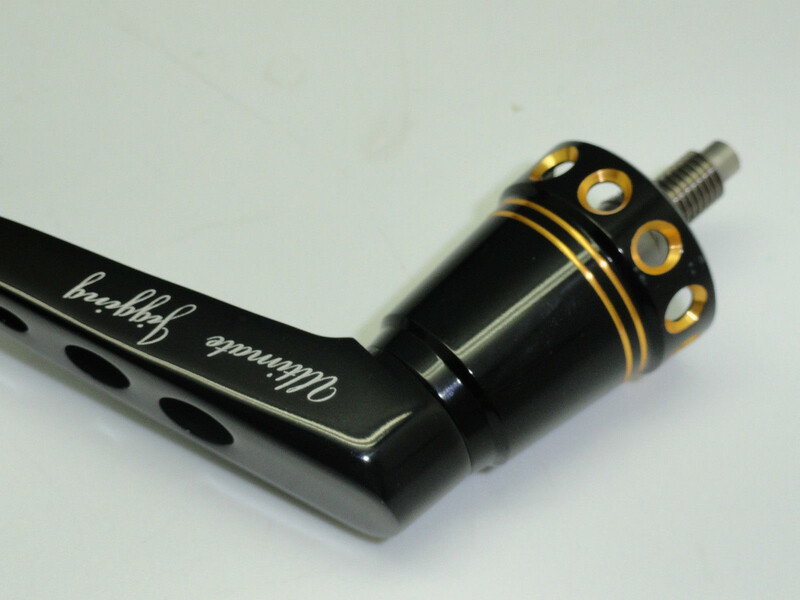 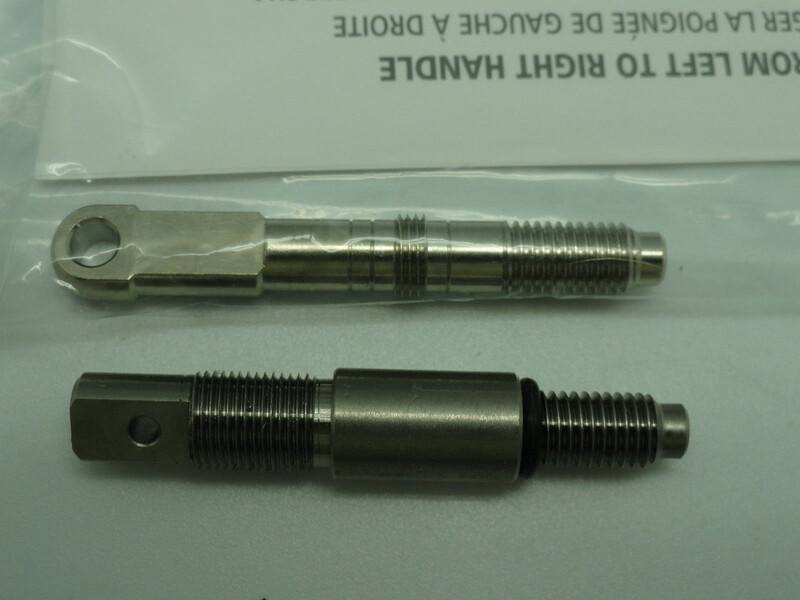 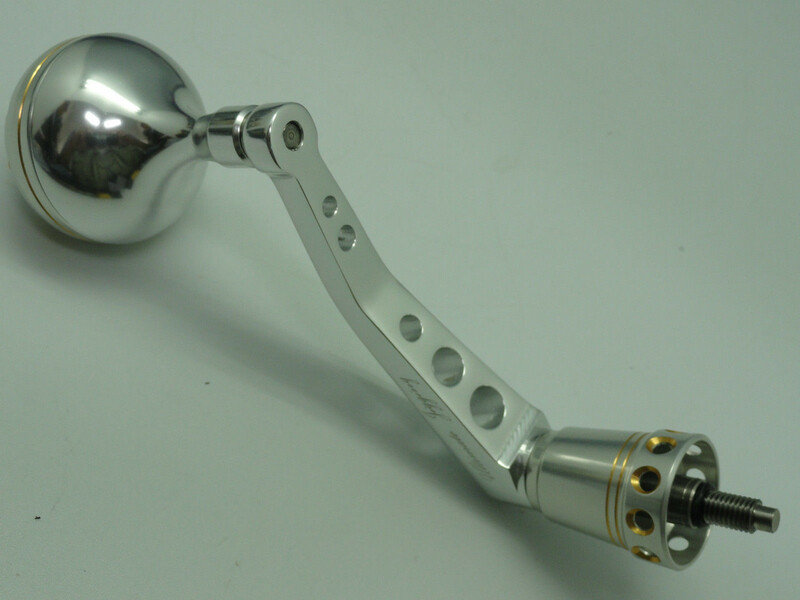 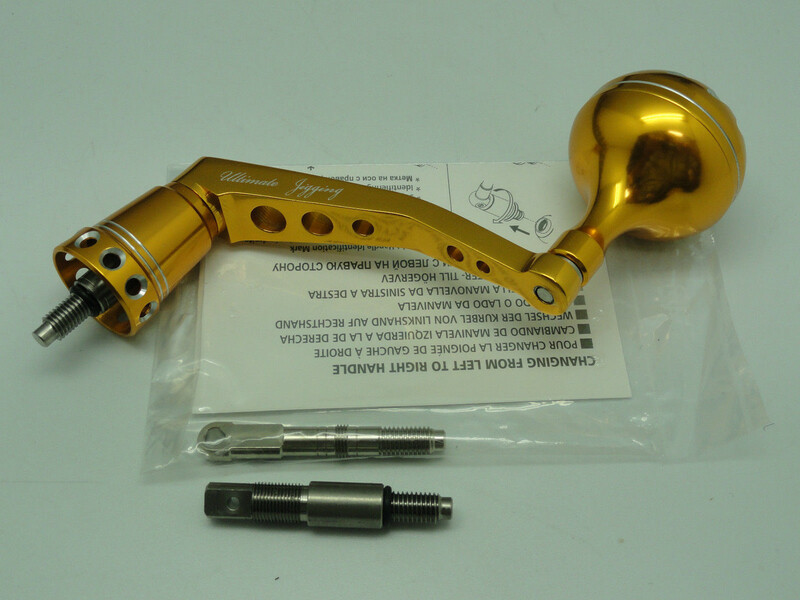 Saragosa 18000F - 25000SW (fit left crank only, Saragosa right hand drive shaft is only 6mm). 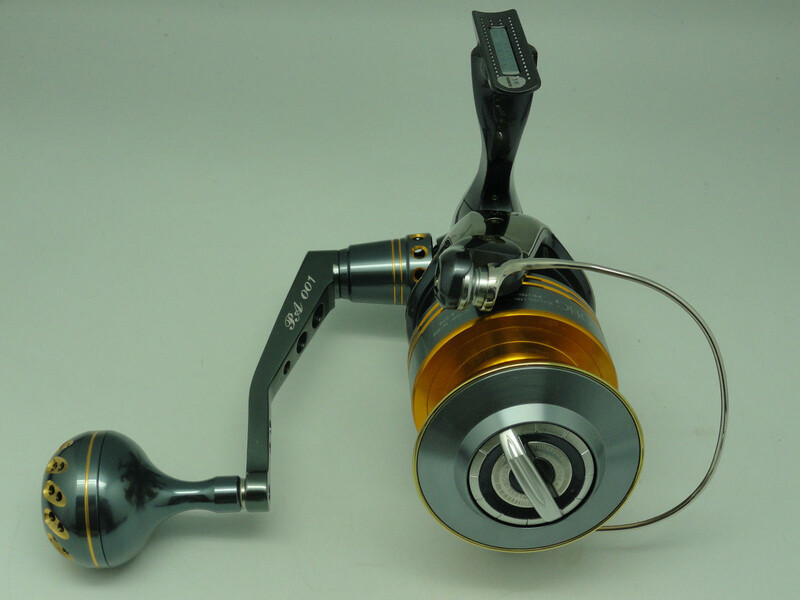 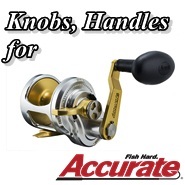 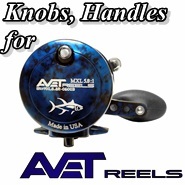 Please see reels after "PA001-S w/ 45mm Upgrade & Replacement" for your reference. 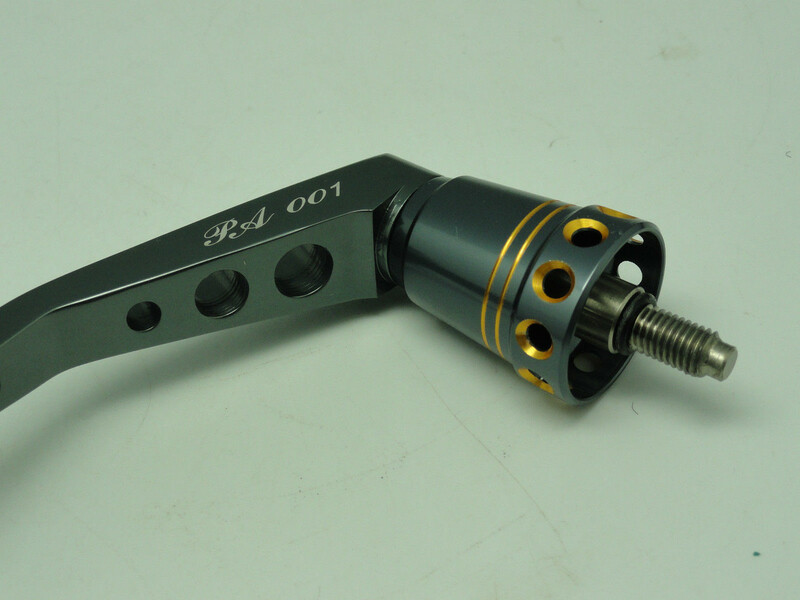 Arm machined from air craft grade 6061 aluminum stock. 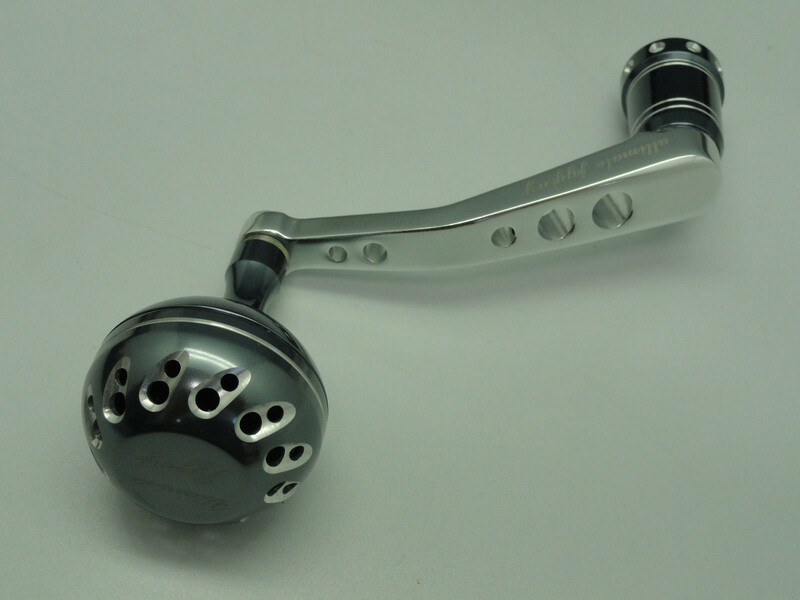 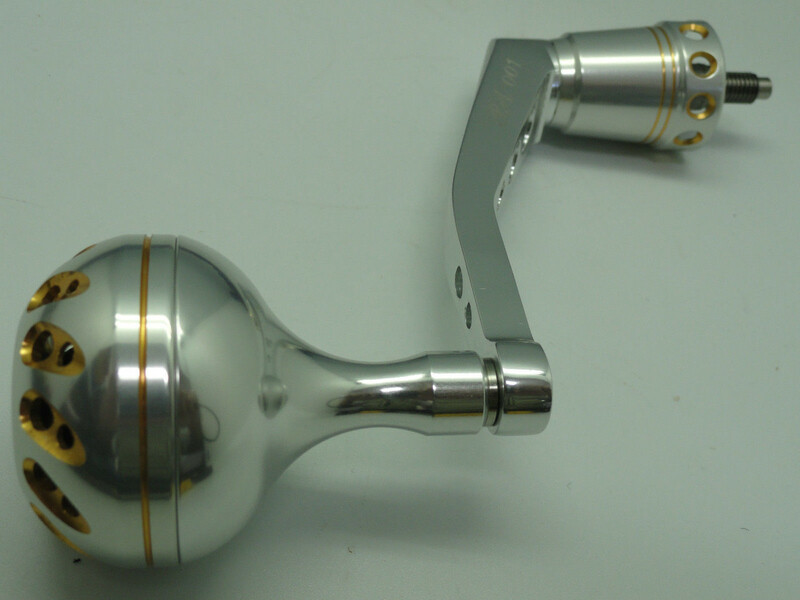 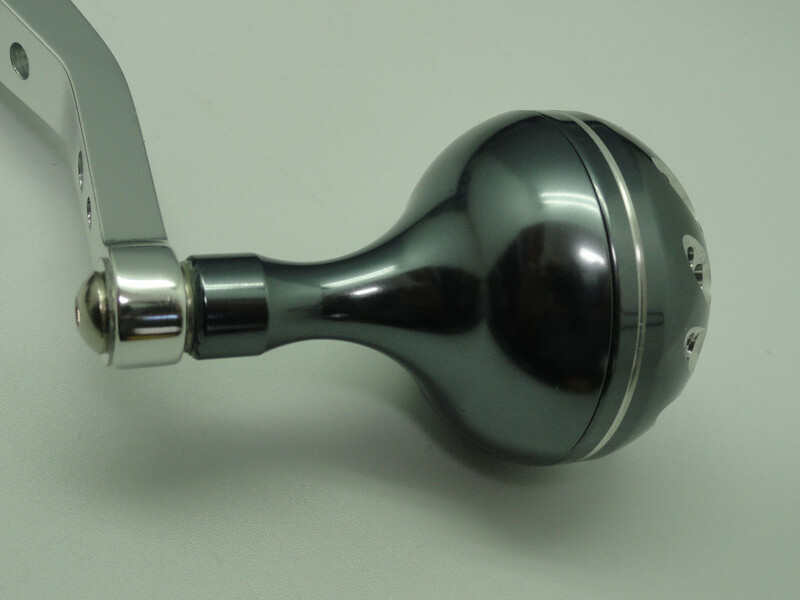 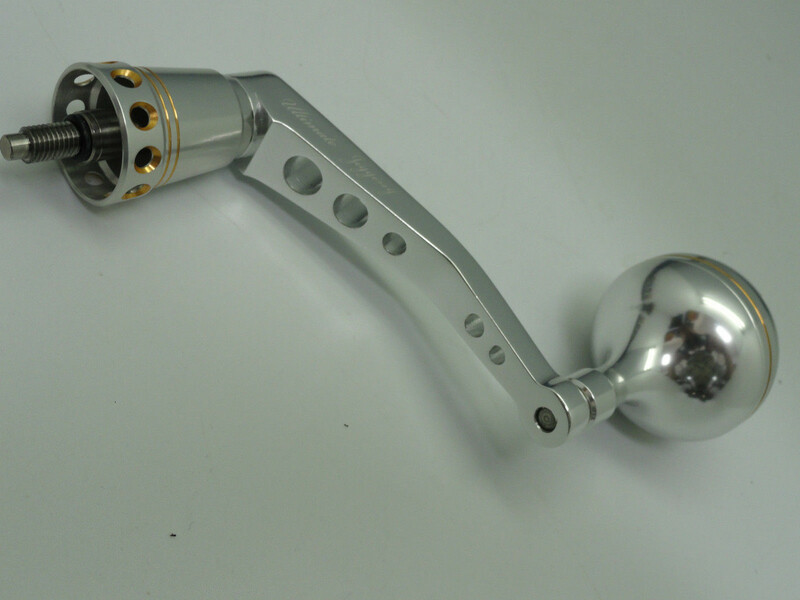 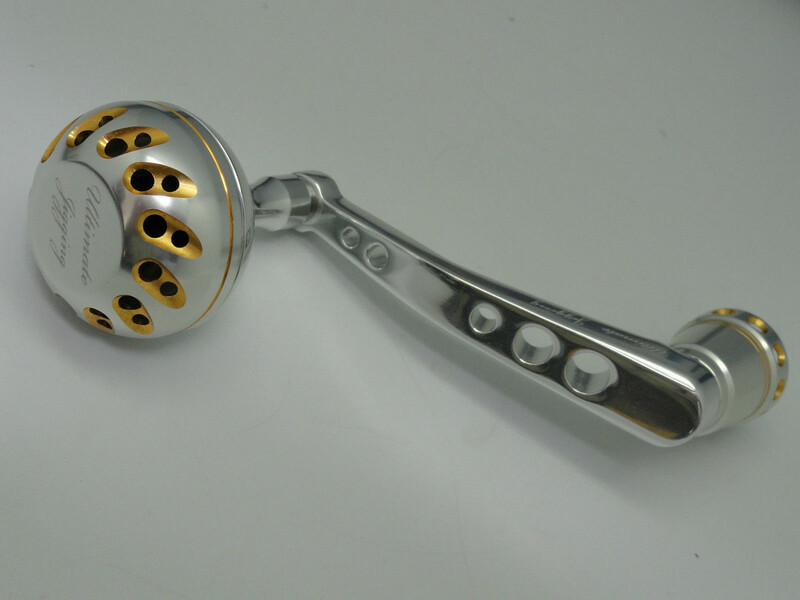 Handle knob shaft machined from strong solid 304 stainless bar, fits any Ultimate Jigging 40mm knob with NS Cap, 45mm knob with NS kits. 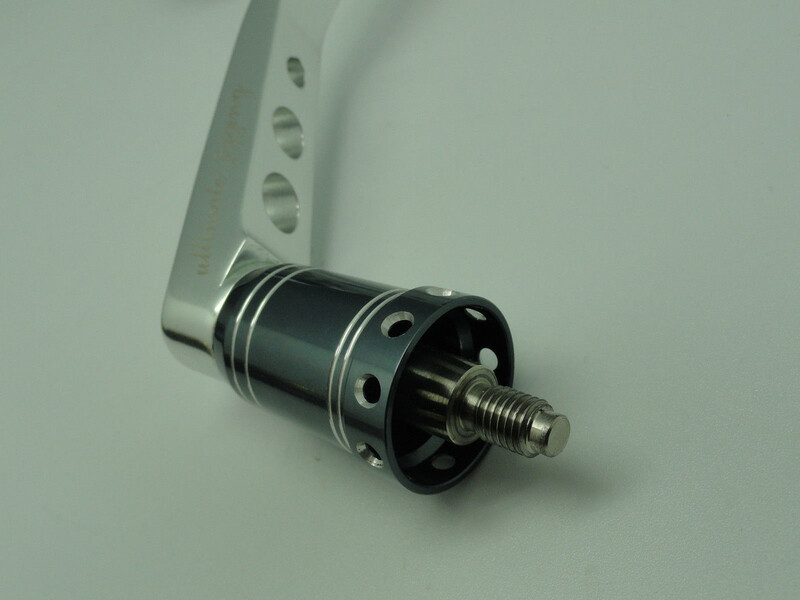 Equipped titanium main drive shaft stronger than Shimano stock stainless drive shaft but lighter in weight 13 g vs 17 g.
Arm Length center to center: 92 mm. 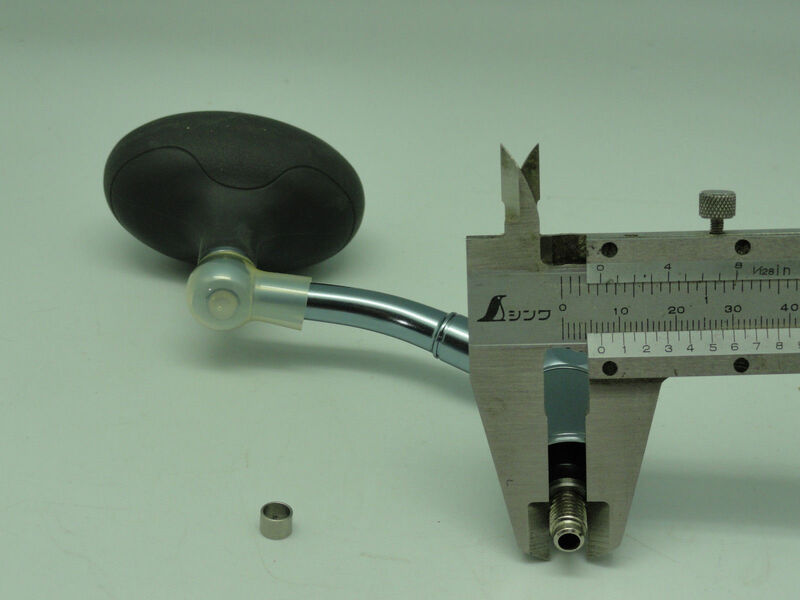 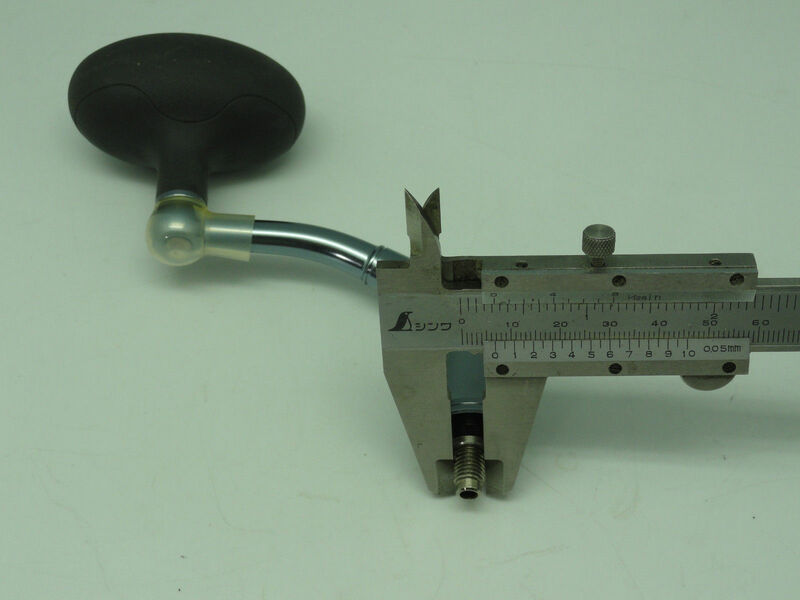 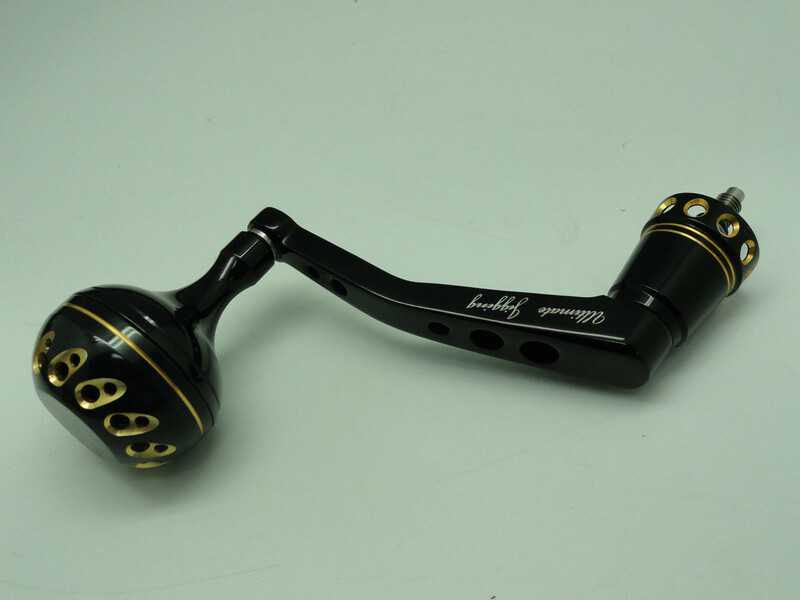 Weight: 4.1 oz/115 g (with 45mm knob). 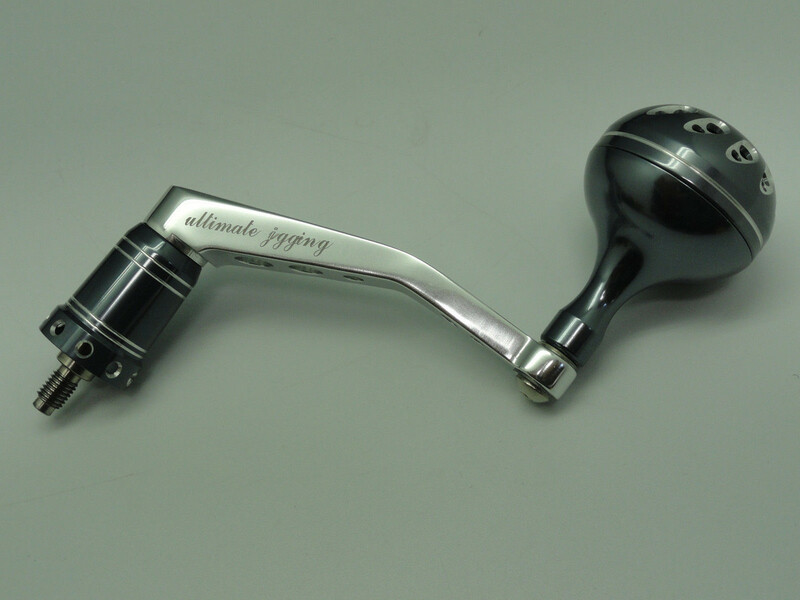 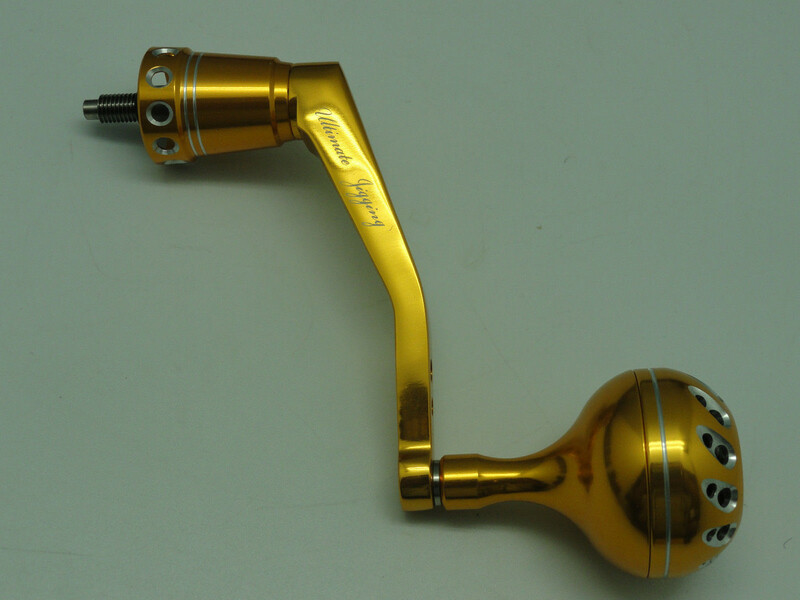 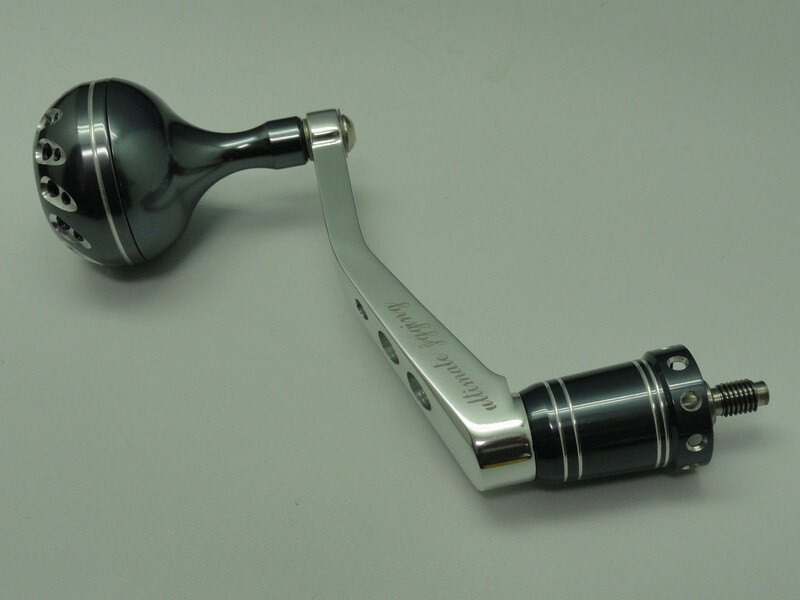 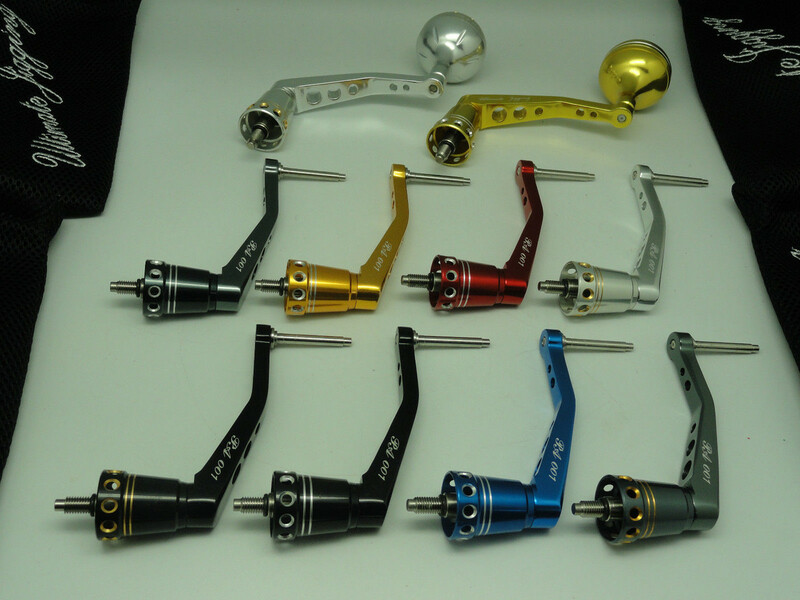 This Power Arm is equipped with Left Hand Shaft Drive and the Right Hand one is included in the Package also. 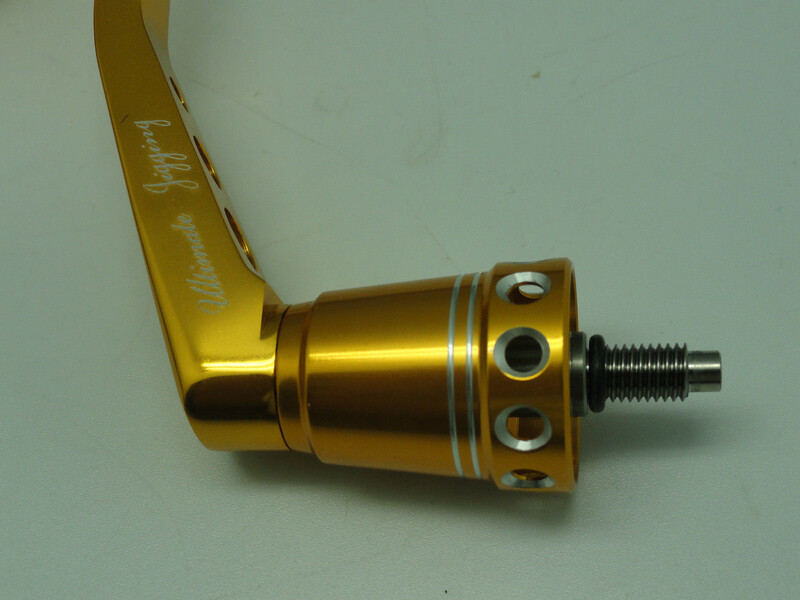 You can easily change it as your need. 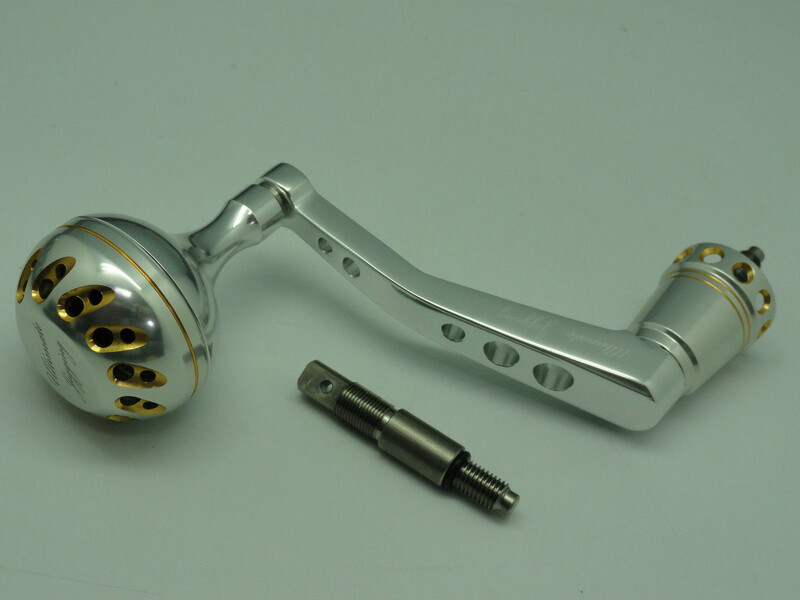 (Pale Gold-Silver Knob)/(Pale Gold Arm).